Awesome pic! Perhaps you should become a pro ski photographer! That pic is so perfect it almost looks fake! Thank you Lynnette! 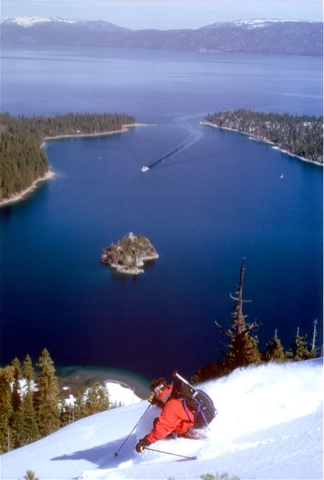 I have Lake Tahoe and the skier, Brad Lancaster to thank for it. 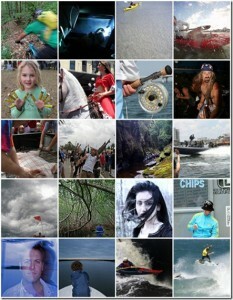 Dude – I’ve been checking out your blogs, your photo site, drinking a little whisky, & recalling many a great time. Hopefully global warming hasn’t become a reality & we’ll get some powder soon! I’m not sure if $600 for new skis is worth it in a warming trend….what would Wittman do? Wittman would fashion a couple of tree limbs to his feet with some twine and then go drop the steepest line on the hill.